I hope you're prepared for an onslaught of images. This is my to-date biggest post here on any subject, but there were so many lovely things and photo opportunities that I found it hard to stop myself shooting away. Believe it or not, there are even more images on my flickr photo stream here. 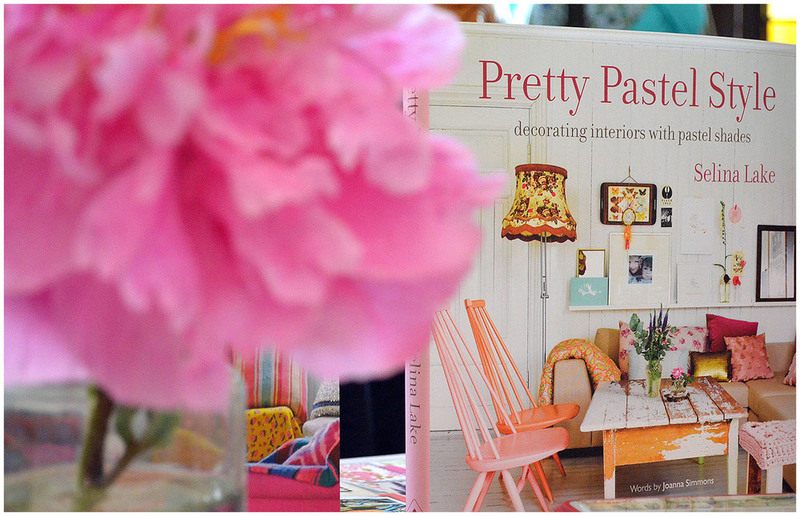 On Saturday I went to the book launch and vintage fair for Selina Lake's newest book Pretty Pastel Style. The fair was held in the Grade II listed Victorian Market House in Kingston upon Thames and was full of beautiful things handmade and vintage. So, sit back, pour yourself a cup of tea and enjoy my little tour of the event. There was some fab retro stationery by rosehip Paper & Home and Fiona Humberstone had some beautiful vintage china on show. ... and I finally met the lovely and absolutely hilarious (both of them!) Jane from Tea with Ruby and Vicky Trainor who had all her pretty and whimsical handmade accessories on display. Selina was patiently signing her newest book and posing for photos. Cakey Bakes Cakes had set up in the tearoom with a gorgeous vintage inspired stand and the cloudy lemonade was certainly very welcome on my part. More photos of their stand are on my flickr photo stream. Wild Willow had beautiful flowers on display along with some well chosen china and other pieces.